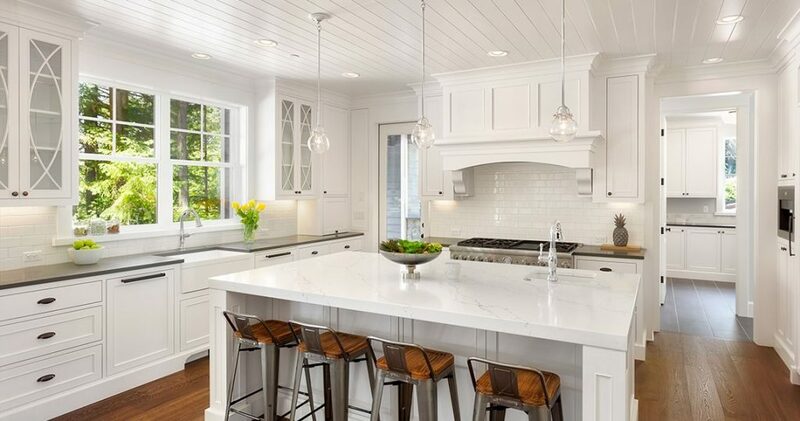 Granite is distinguished for its beauty and durability making it a popular choice for countertops. This same stone that some parts of the ancient Egyptian pyramids are made of can stand up to daily kitchen use and has been around for many years. Granite is composed of quartz, mica, and feldspar. While neutral colors are popular among homeowners, it can be seen in monochromatic slabs and beautiful patterns. Interestingly, no two slabs are exactly alike, making each project unique. Finish options for this natural stone include polished, honed, brushed, leather, flamed, and antique. 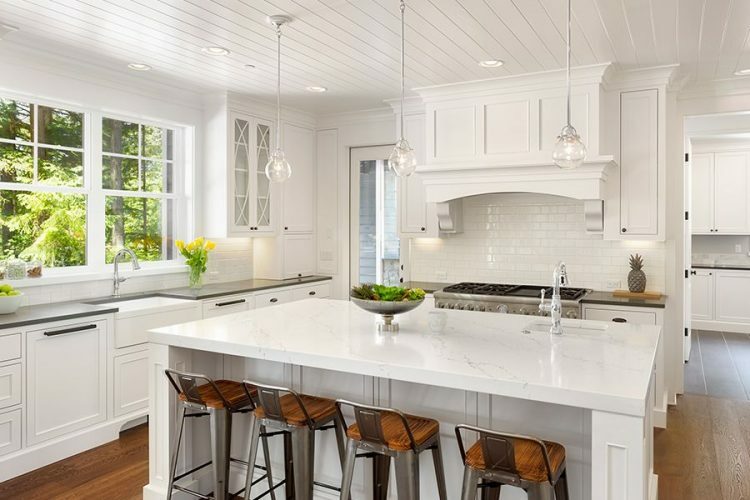 Granite has several advantages over its counterparts. With proper maintenance, it will last for years. It is tough to beat in terms of strength due to its heat and scratch resistant qualities. Also, the material is water resistant when properly sealed. If you want a unique slab or pattern, you will never go wrong with quartz. But costs can quickly escalate if you choose exotic slabs. Cleaning granite is easy, just use a wet washcloth to wipe down the surface. While the surface is easy to maintain, acidic home cleaning products can damage the polished surface. It is important to use safe cleaning products or stick to soap and water. To help you decide whether it’s the right choice for your next project, schedule a free estimate today.